HOW WILL THE NEW HARMONIZED SALES TAX EFFECT FARMS? ON JULY 1ST, 2010, Ontario’s Retail Sales Tax will be combined with the Federal Goods and Services Tax to create a single, federally administered, Harmonized Sales Tax (HST). Farmers need to be aware of what this change will mean for their farm business. Consumers, including farmers when purchasing non-farm goods, can expect to pay an estimated increase from $150 to $500 per year as a result of the HST. The amount of tax paid will be determined by consumption levels. In order to ease the transition for consumers, a one-time HST rebate will be made to those earning less that $160,000 per year. Although consumers will see an increase in their tax payments, farm businesses will benefit from the change. 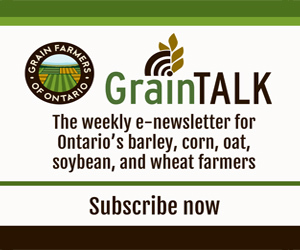 The Ontario Federation of Agriculture is currently estimating that farmers will yield a significant net sales tax savings (on items purchased for farm use) of $29 million annually. This savings is the result of an increase to the number of farm inputs that are tax exempt. Many farm inputs that are currently exempt from sales tax will remain exempt, including grain handling equipment, seeders and pesticides, among others. Understandably, this change may have implications for cash flow on farms. However, farmers are allowed to make ITC claims monthly to avoid cash flow bottlenecks. From an administrative point of view, farmers who currently file GST Input Tax Credits will not notice much change. All input tax credits can be claimed on the existing GST return.